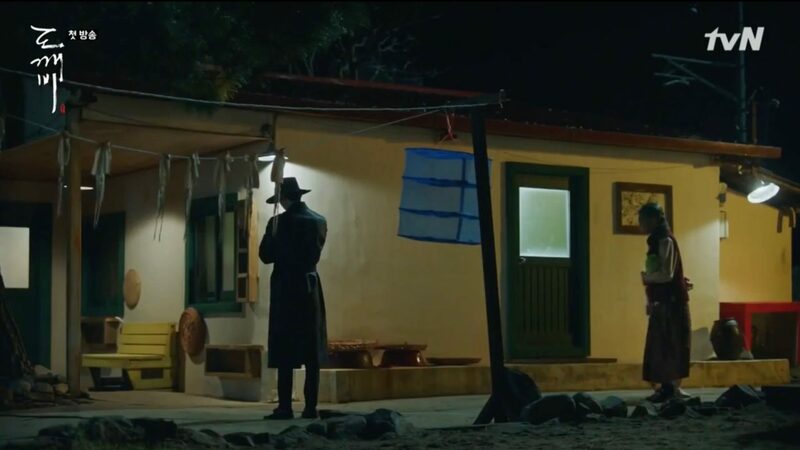 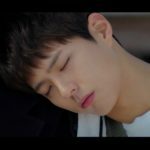 Kim Jin-hyeok (Park Bo-gum) brings Cha Soo-hyun (Song Hye-kyo) here for a coffee in episode 4 of Encounter/Boyfriend (남자친구) (tvN, 2018-19) and nearly directly falls asleep on her shoulder as he came here all the way from Seoul. 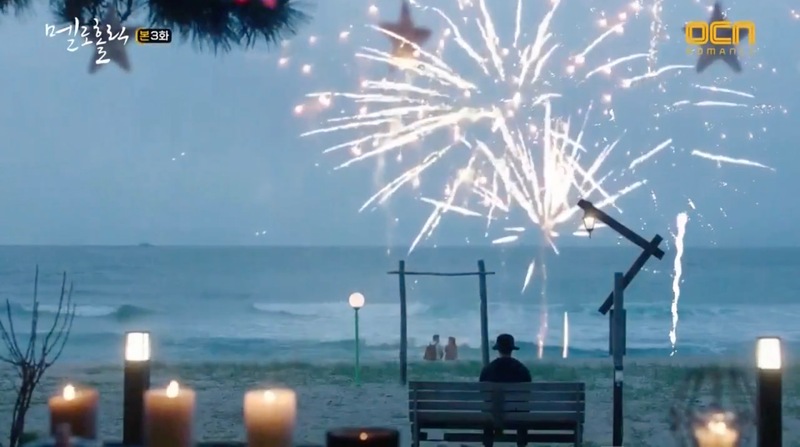 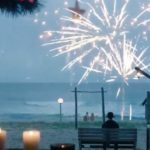 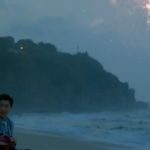 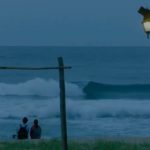 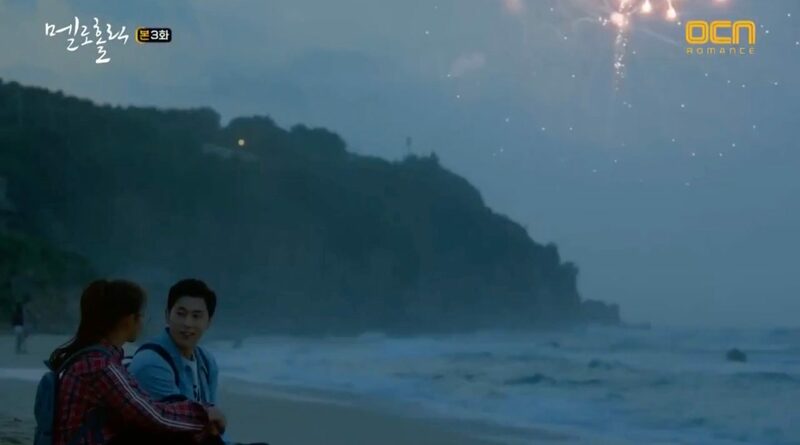 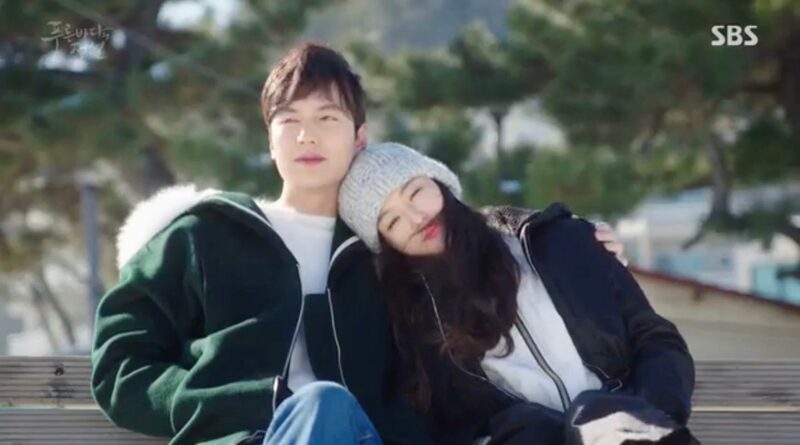 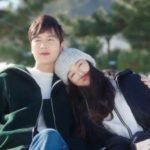 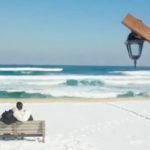 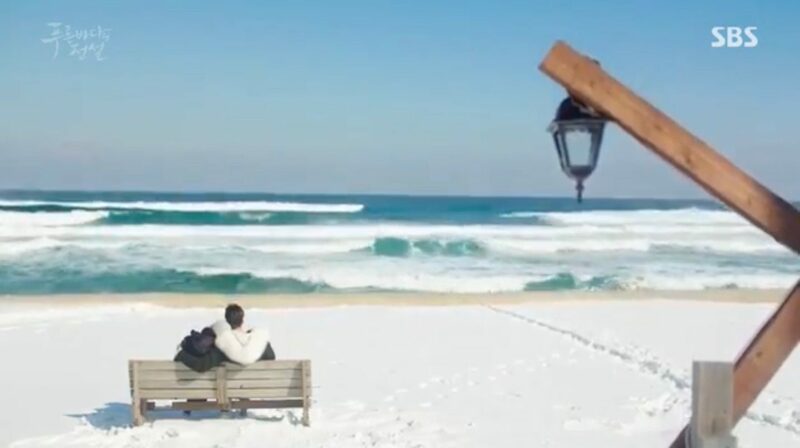 Han Ye-Ri (Kyung Soo-Jin) and Yoo Eun-Ho (U-Know Yunho from TVXQ) come here together and sit on the beach in front of this place in episode 3 of Meloholic/Melo Holic (멜로홀릭) (OCN, 2017) after Eun-ho had followed Ye-ri on her memory trip (all observed by creepy stalker). 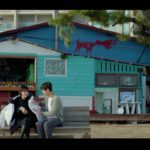 This beach café-bar appears also as the house in which Heo Joon-Jae (Lee Min-Ho) and Sim Chung (Gianna Jun) live happily every after in Legend of the Blue Sea (푸른 바다의 전설) (SBS, 2016-17) — as we see it in episode 20. 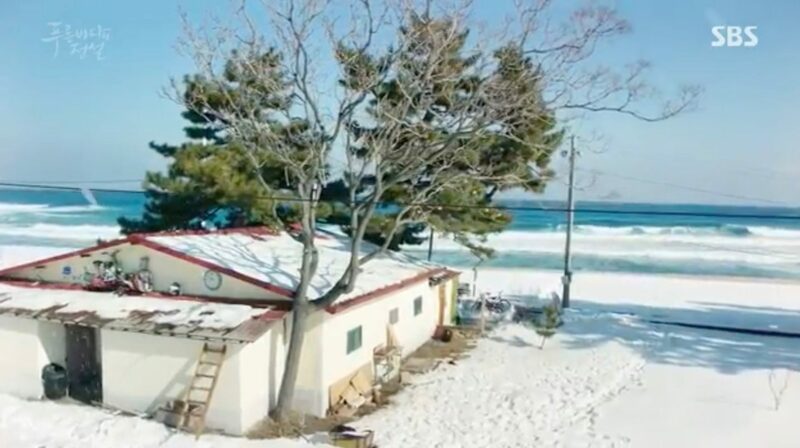 This is also where Ji Eun-tak (Kim Go-Eun) lives when she is a little girl in Goblin/Guardian: The Lonely and Great God (쓸쓸하고 찬란하神 – 도깨비) (tvN, 2016-17) — as seen in episode 1. 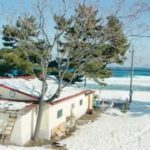 Raramuri [라라무리], a beach café-bar, is located at the Deungmyeong Beach [등명해변] at the east coast of South Korea close to city of Gangneung [강릉시].